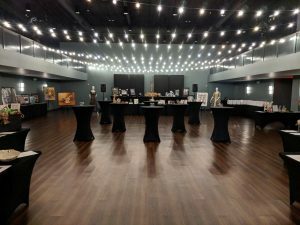 Built in 2018, the ENCORE Room has 5,000 square feet of event space featuring two levels, balcony seating, luxurious wood floors, beautiful lighting, great acoustics and complete privacy. Available for breakfast, lunch or dinner including food and beverage services or simply for room rental. 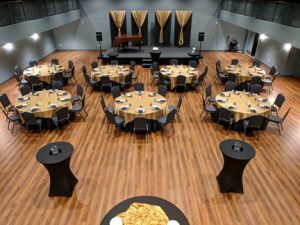 The room can be set in a variety of ways to accommodate groups from 20 to 250 people. 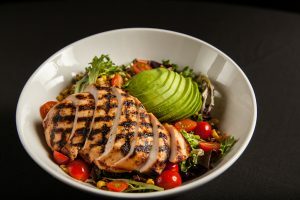 Arizona Broadway Theatre is conveniently located just off the loop 101 and Bell road in the heart of Peoria’s P83 entertainment and hotel district. 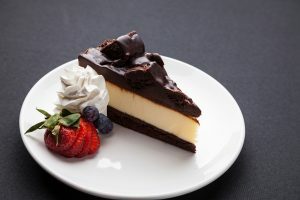 Arizona Broadway Theatre has a full-service kitchen and bar with professional staff on hand to service your event. 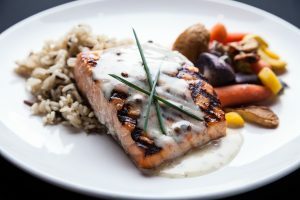 Food and beverage options range from a simple box lunch to elaborate formal dinners. 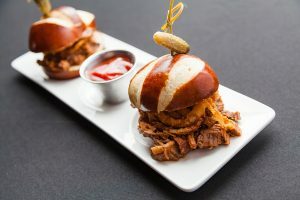 Custom menus, bar packages, linens, cakes, audio visual, DJ, entertainers, photography, ticketing and equipment services are available on request. 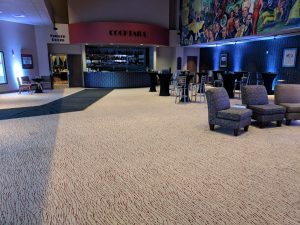 The spacious and beautiful lobby of the theatre offers an array of seating options ideal for brunches, luncheons, receptions, and formal dinners. For plated table dining, this space can seat 125 people; for a standing reception, 250 people. The décor features carpeted floors and a fascinating mural featuring Broadway stars of days gone by. 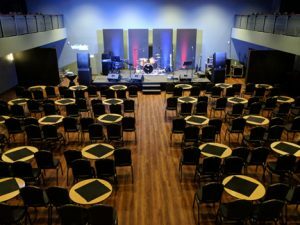 The Mainstage Theatre space has a seating capacity of 400 on the main floor with an additional 44 seats available in the Balcony. 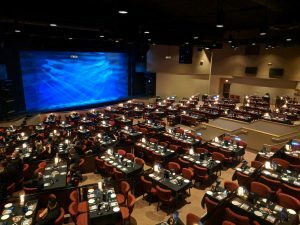 Be it award ceremonies, corporate meetings, presentations, banquets, charity galas, or VIP dinners, the theatre is one of the largest event spaces in the West Valley. 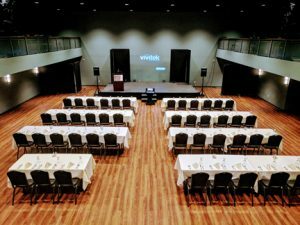 The stage, lighting, sound, and dressing rooms are all available for rental – expanding the options for your event.